A 17-year-old boy has admitted spraying harmful gas through a window which hospitalised eight people. The boy pleaded guilty to possessing a weapon to discharge a noxious gas into a home in Slough on Sunday. The six female and two male victims were treated for issues including breathing difficulties and vomiting. He appeared at Reading Magistrates Court on Wednesday, and was remanded in custody to be sentenced at a later date. 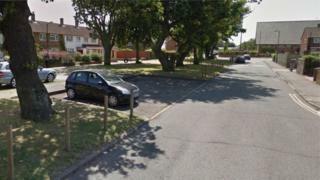 The victims, aged from 12 to 40, did not suffer any serious injuries as a result of the attack at Skydmore Path but were taken to Wexham Park Hospital as a precaution. Thames Valley Police said it was not an acid attack.